Look after the environment while enjoying your morning coffee with these two Cambridge eco-friendly reusable travel mugs. 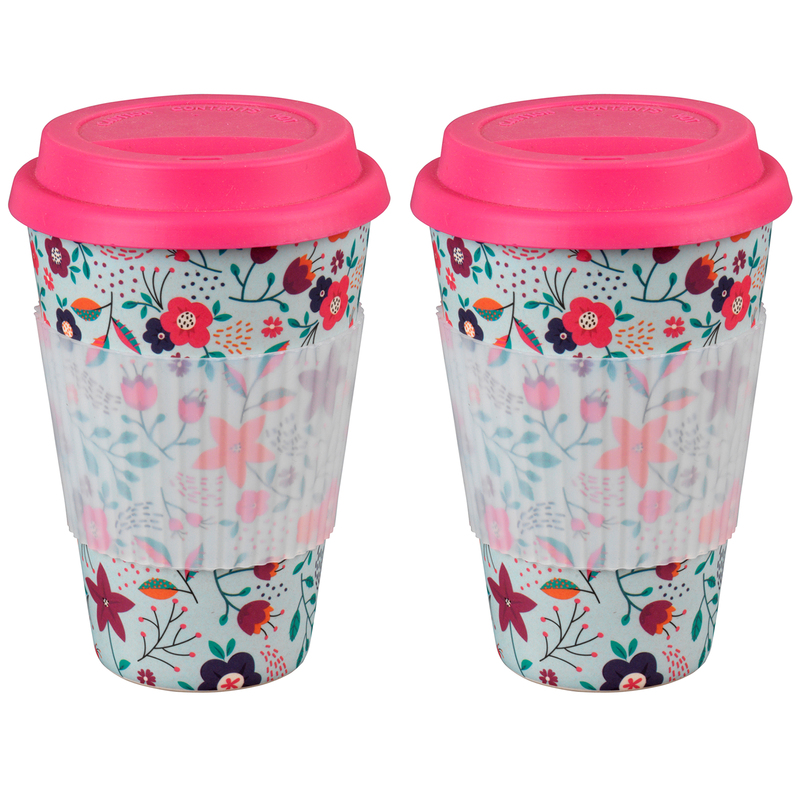 Combining beautiful designs and practicality, they are lightweight, dishwasher safe and feature orange and green floral designs with pink lids so you can do a good thing for the environment and look good doing it! 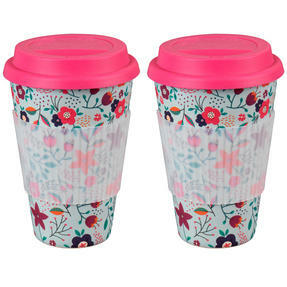 These gorgeous travel mugs have heat resistant silicone lids and grips so they are easy to carry and drink on the go, making them perfect for your daily commute. Brighten up your day with these two colourful Cambridge travel mugs with hot pink lids, ideal for warming up on gloomy mornings. The bamboo travel mugs are thermal insulated, keeping your drinks hot for longer while the silicone grips makes them safe to hold. Thinking about the future? These travel mugs are reusable and made from recycled bamboo, which is great news for the environment. They are dishwasher safe so you can use them all day long and then simply pop them straight into the dishwasher with no fuss or hassle. Each mug measures 13h x 9w cm and comfortably holds 350ml, 400ml if filled to the brim, perfect for a large coffee on your commute.